Car accidents are a leading cause of catastrophic injury and death in South Jersey. With growing populations in municipalities throughout Burlington County and Camden County, roadways are becoming more and more congested during rush hour in the morning and at night. The end result of heavy traffic on crowded roads and highways has been an increase in the number of auto accidents. Making matters worse is the fact that auto insurance companies are notorious for taking advantage of the confusion that often follows a serious accident. 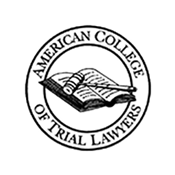 In fact, it is not uncommon for an insurance adjuster to pressure a car accident victim to accept a lowball settlement offer that will barely cover the victim’s initial medical bills. You deserve better. The experienced legal team at Andres & Berger, P.C. has a reputation for hard work and a strong concern for making sure that our clients get the monetary compensation needed to cover their medical expenses. If you were injured in a car accident on a road or highway in Marlton or anywhere else in Burlington County, NJ, The Law Offices of Andres & Berger can assist you. Contact us anytime to discuss your situation and explore your best available legal options. 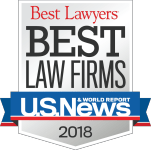 Whether you were injured in a car crash, a slip & fall accident, or any other type of serious accident, the skilled attorneys at Andres & Berger can help you. We have the experience needed to successfully represent you at the negotiating table and, if necessary, in court. Why Choose Andres & Berger? If you or a loved one was injured in an accident in Marlton, Camden, Haddonfield, or any other municipality in South Jersey, one of your first calls should be to The Law Offices of Andres & Berger. 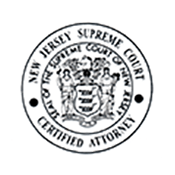 Our skilled attorneys provide top-notch legal representation to personal injury victims throughout NJ and can assist you with your potential legal claim. Kenneth Andres, Jr., a founding partner of the Andres & Berger law firm, knows how to present a compelling argument in front of a Burlington County jury. 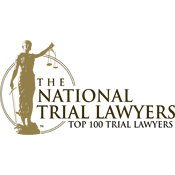 That’s why he has won tens of millions of dollars in compensation for his personal injury clients in cases involving car accidents, catastrophic injuries, and wrongful death. 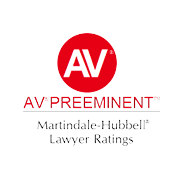 Like other members of the legal team at Andres & Berger, P.C., Mr. Andres has received numerous accolades in recognition of the excellent work he does for his clients in Burlington County personal injury cases. 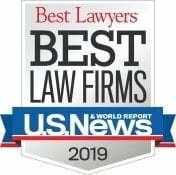 Mr. Andres has been named a “Top 100 New Jersey Super Lawyer” by his peers in both New Jersey Monthly and South Jersey Magazine and was selected as one of “The Top 100 Trial Lawyers” by The National Trial Lawyers, an invitation-only national organization composed of America’s Top Trial Lawyers. Were you injured in a car accident on a road or highway in Marlton, New Jersey? Then you need an experienced Marlton personal injury lawyer on your side and fighting to get you financial compensation for your injuries. 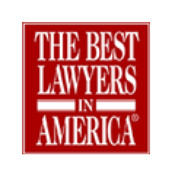 The Law Offices of Andres & Berger is a legal team with skilled personal injury lawyers who are dedicated to representing accident victims in New Jersey. We accommodate our clients’ needs and we are always available to discuss case strategy. Call us anytime to schedule a free initial injury consultation. Marlton is a community in Evesham Township, New Jersey. Evesham is one of the larger municipalities in Burlington County with 45,538 residents, while Marlton has a population of 10,133 residents. Marlton is a historically important area that was founded in 1676. The community’s name comes from the marl, or marlstone, clay that is found throughout local soil. In the 1800s, marlstone was excavated from the ground in Marlton and shipped to neighboring communities for use in manure and water treatment. Nearby municipalities include Mount Laurel Township, Medford Township, Berlin Township, Cherry Hill, Voorhees Township, and Waterford Township. The proximity of Marlton to other municipalities and counties makes it a popular destination for travelers in New Jersey. Marlton is a vibrant community with a number of restaurants, coffee shops, upscale retail stores, hotels, museums, and outdoor activities. A major landmark in Marlton is PH-32, a missile base that was part of a US Army project initiated in May 1945 to defend against a potential foreign invasion.